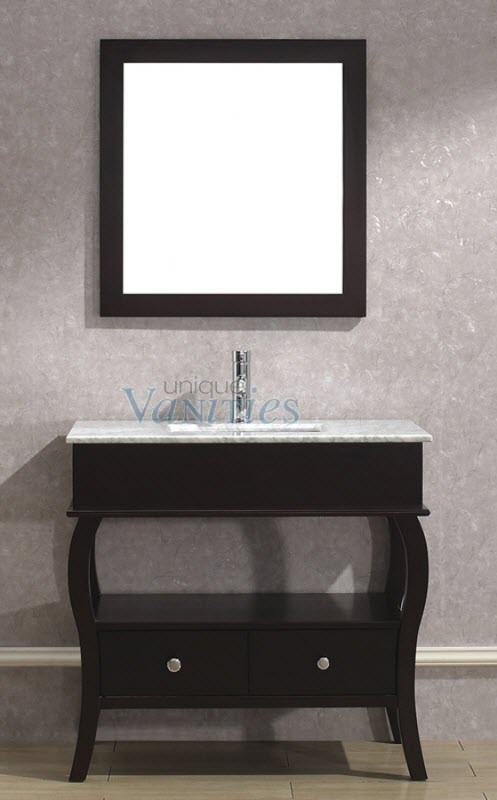 The dark chai tone of the this modern vanity makes it a perfect choice for a variety of styles and decors. You can store towels or decorative items on the open shelf and the wide bottom drawer provides extra options for personal organization. 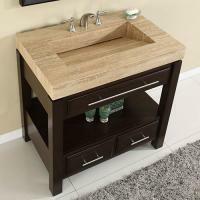 The set comes with a matching mirror, but faucet is not included.